Many facility owners are under the impression that once they have developed and implemented a Spill Prevention, Control, and Countermeasure (SPCC) Plan they are compliant. 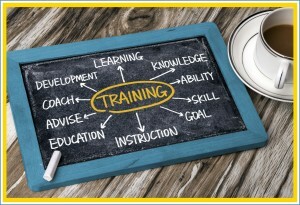 One of the most integral parts of a SPCC Plan is often overlooked is SPCC employee training. The SPCC regulations require that all oil-handling personnel at SPCC-regulated facilities be trained. In order for your SPCC Plan to be effective, all oil-handling personnel (new and existing) must be trained on how to implement the elements of the SPCC Plan. “Oil-handling personnel” includes employees engaged in the operation and maintenance of oil storage containers, the operation of equipment related to storage containers and emergency response personnel. Additionally, any oil-handling contractors at your facility must be trained as well. Depending your specific training needs, Williams & Company can develop either classroom or online training. Keep in mind that an EPA inspector will typically talk to your employees during an inspection to test the depth of their knowledge and understanding of your SPCC Plan. Employees who can’t speak to the specifics of the SPCC Plan could be deemed untrained by the EPA and could subject your facility to training violations and fines. Copyright © Williams & Company Consulting, Inc. All rights reserved.